This 6-line badge is also available in 4-line and 5-line versions (see right-side menu). Please select the correct badge for your needs. 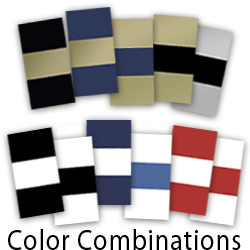 Available with 11 different color combinations, 5 different emblem styles and 3 different fasteners. Up to 6 lines of copy. 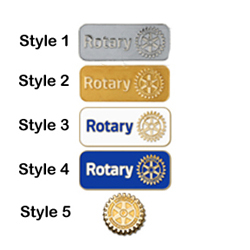 Please specify desired plastic color and emblem style combination in the boxes provided above.